The classic skate shoe receives a 3D leather makeover. New York’s Engineered Garments usually links up with Vans at least once a year for mismatched Slip-Ons or Sk8-Hi sneakers. For Spring/Summer 2019, the workwear imprint has once again elected to elevate Vans’ laceless model, though EG forgoes the usual mismatched details in favor of a three-dimensional design. 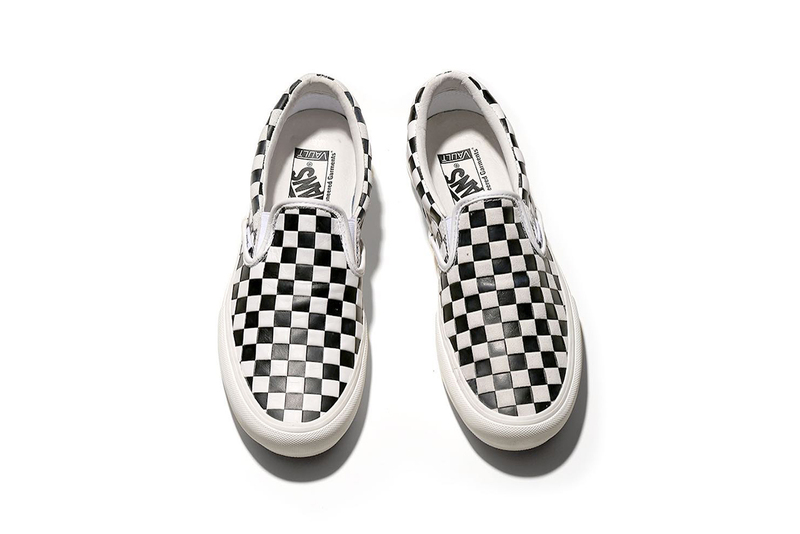 Offered in black-and-white and tonal white, black and red iterations, the Slip-Ons are produced under the Vault sublabel, giving them a slightly heftier silhouette than normal Slip-On models. It also allows for the premium leather that informs the checkerboard uppers, which emboss the contrasting panels for a 3D effect. White midsoles (except on the black pair) complete the collaborative styles. The collaborative Slip-Ons hit the Japanese outposts of NEPENTHES, Engineered Garments’ parent company, on March 2 before arriving in-store at Nepenthes New York on March 8 for ¥14,000 JPY, approximately $125 USD. Most recently, NEPENTHES opened the doors to its London location. Embossed Leather Checkered Classic Slip-ons available in 5 colorways. Coming to Japan March 2nd. Available in NY March 8th. ‘Devil May Cry 5’ releases March 8. It appears that her new album will contain 19 songs.